In Redondela we will have clear sky, soft clothing is recommended as the temperatures is going to be warm throughout the day. Are you reserving a hotel room in Redondela and have no way to get there? Book your flight now with Destinia! Hotels Redondela with special offers and the lowest price guaranteed. Our search engine for hotels in Redondela will show you the best prices, allowing you to find budget and economical hotels in Redondela. You can make your booking immediately, with no queues or waits. Our search engine enables you to book any type of hotel in the city of Redondela, allowing you to select the best offers for either luxury hotels or a wide range of budget hotels and hostels in Redondela. In order to do this, just enter the name of the city, choose the arrival and departure dates, select the number of occupants and type of room, and click on find hotels. As an extra option, you can also search by category and/or accommodation regime, from 'accommodation only' to 'all-inclusive'. Once you have made the search for a hotel in Redondela we will show you an extensive list of offers, ordered in accordance with our criteria. Obviously the results can also be ordered by name, category, approximate price or based on the evaluations by our clients. We also provide a small description of the accommodation in Redondela that you selected, so that you can decide whether or not it responds to your expectations. In the cheap hotels in Redondela search results, you can filter and find hotels ranging from those with hot tubs to those with spas to allow you maximum relaxation. For instance, one of the most frequent queries to escape the summer heat are for hotels with pools. You will also find other types useful filters, such as those that select hotels with access for disabled people, with restaurants or with Internet access. Of course you can also find medium to high category accommodation, such as a four-star hotel in Redondela. In addition, we also provide you with the location of all the accommodation on a map, so that you can choose a hotel in the centre of Redondela or near the place that interests you the most. We know that many of our clients want central hotels in Redondela or those that are near certain points of interest, so if you want a hotel in Redondela near a specific site, check out this filter as it could be useful. On the other hand, our search engine also works to help you find more specific types of accommodation, such as a charming hotel in Redondela. If you just want to spend a few days with your partner, you can also book romantic hotels in Redondela. 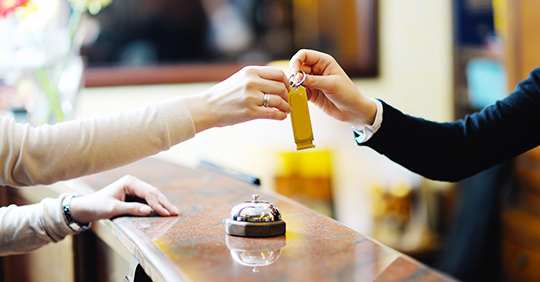 Our principal aim when you search for hotels in Redondela is to provide you with the best offers and the highest quality. Find your hotel in Redondela now, with our cheap hotels search engine!